Turtle Rock Studios had so much good will going into Evolve. With experience in the Counter-Strike series and as the creators of Left 4 Dead, it was like an extension of Valve -- beloved by PC gamers everywhere. 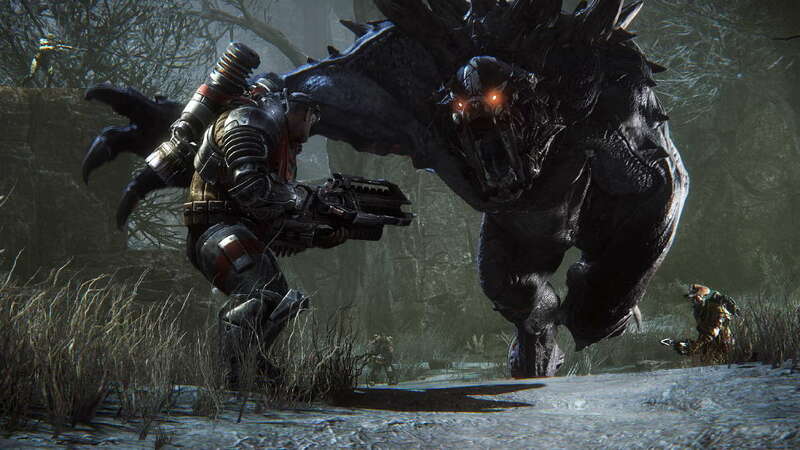 Then it got involved with 2K Games and DLC-ed the crap out of Evolve. So that countdown thingie (that isn't done yet)? It will seemingly lead to this free-to-play announcement for the game, which actually makes sense since it felt like it was using that model all along. Turtle Rock even honestly calls the situation a "DLC shitstorm," and plans on improving the game overall. There's going to be balance changes, UI and map improvements, better load times and optimizations, bug fixes, and more customization options (the latter of which I just think of as "tons of DLC"). On July 7 the package will be free as a "beta," to test server loads. If you previously bought the game you'll be known as a "Founder," and all your content will transfer -- plus you're promised nebulous "gifts" at some point. My feelings are mixed. Maybe the team can salvage this IP with a sequel, and fund it with this free-to-play fest. It's not like the original game "failed" per se, as people bought it on good faith -- they just didn't stick around and the community was a ghost town over time (not just because of the DLC, but because of other design flaws). We've reached out to see how they're handling the console editions, as the PC platform was the only one mentioned in the missive.